For those of us who love tea, a hot cuppa on a daily basis is just a part of our routine. But there’s nothing that better unifies the tea lovers with less habitual tea drinkers than feeling under the weather. Something about a case of the sniffles brings out our innate desire for a warm, comforting cup of tea to support not just our bodies, but our wellbeing in general. 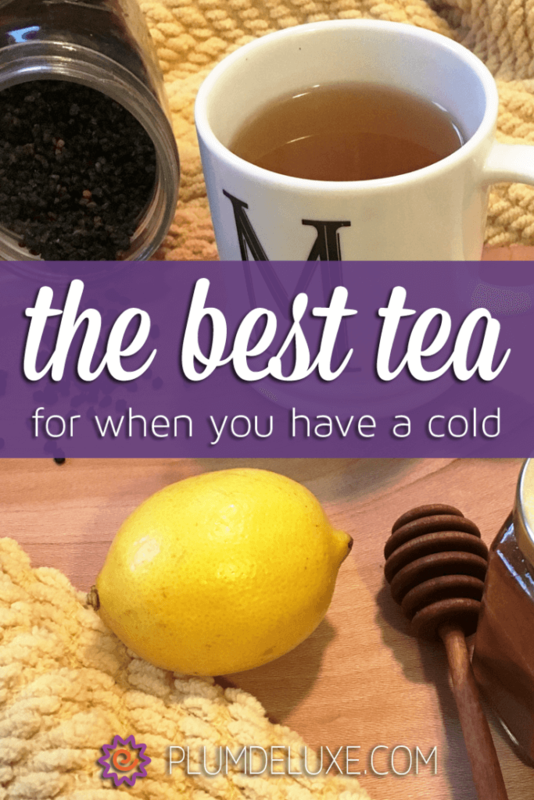 With all of the options available, it may feel a little daunting to choose the best tea to drink when you have a cold. But today, we’re going to dive into all the ways you can put your tea stash to work for you when you’re feeling less than your best. While I’m not a doctor and can’t make any health claims, I think we can all agree that a hot cup of tea just makes us feel better. Sometimes, it may only take a cup of anything warm and comforting to help perk you up, but there are certainly teas better suited than others to supporting a happy immune system. Some of the best teas to drink when you have a cold tend to be herbals, as they’re usually packed with ingredients that are naturally supportive of health and wellbeing, without the caffeine that may throw your already-compromised system out of whack. Straight-from-nature ingredients like licorice root, lemongrass, ginger, lemon balm, and sage are natural throat-soothers, as well as common players in most herbal blends. 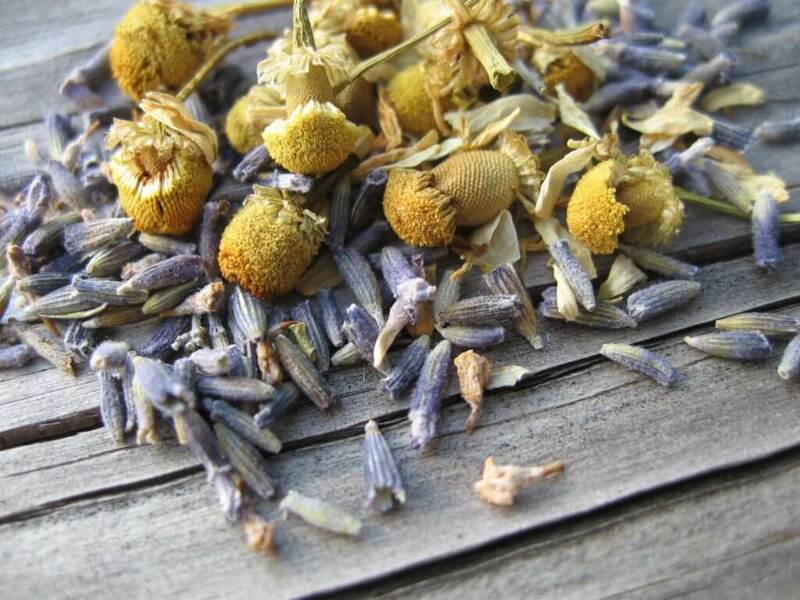 Our ol’ reliable chamomile can be a great choice for when you’re feeling less than your best as well. Its simple, soothing flavors adapt well to being blended together with health-supporting extras, and it can help calm you down for the kind of restful sleep needed when you’re not at your best. If you’re ready to take your tea cabinet to the next level of immune happiness, playing tea blender in your home and adding in fun extras to your existing blends can be a great way to customize and turn the teas already in your cabinet into the best teas to drink when you have a cold. Here are some of our favorites! 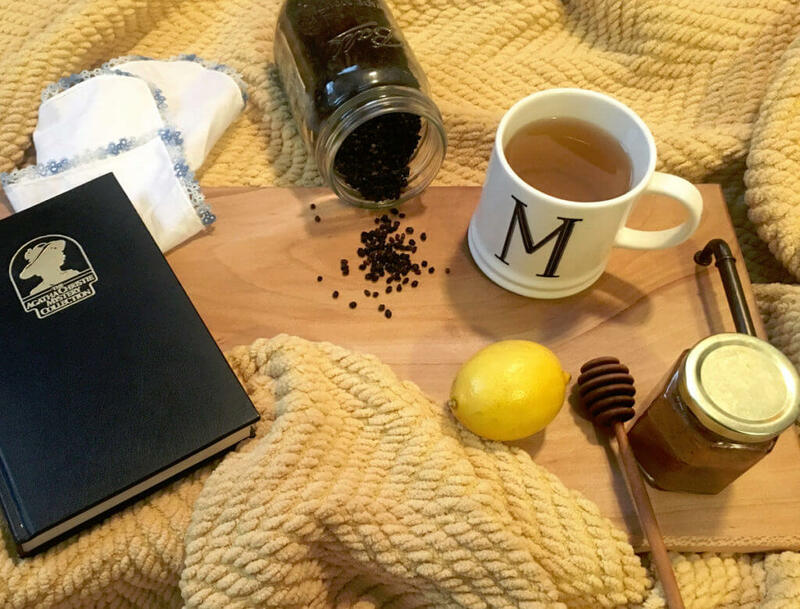 Honey is a longtime favorite of most tea lovers, but did you know it can be incredibly helpful for supporting your throat when you’ve got a cough? While there are all sorts of claims for how honey can be helpful when you’re sick, we just know that its deliciously-sticky nectar does a great job of coating your throat when sipping during the days of your scratchiest cough. Adding a teaspoon into your tea can help calm your cough while tasting great, too. It’s simple enough to carry with you on-the-go as well in a travel-sized tube for those sick days when you may not have your entire tea cabinet at your disposal. Elderberry has long been touted as a fruit that our immune systems seem to like. And it’s tasty, to boot! Adding a few dried elderberries to your cuppa brings a natural sweetness that can transform your tea from simply a comfort to a treat, all while supporting a happy immune system. Ginger might be the most commercially popular flavor for those of us feeling under the weather; from candied pieces to ginger ale to sooth a stomach, its spicy kick and calming flavor do a great job of supporting your favorite hot beverage when you’re under the weather. Grate a few pieces of ginger root straight into your cup — I’m particularly partial to it mixed with honey and lemon — or if you’re feeling too poorly to do all that work yourself, you can add dried ginger pieces to existing dry leaf, or find a blend that already has them all together. Of course, sometimes you may need a little extra boost when you’re not feeling well. I personally love a hot toddy: tea spiked with a bit of alcohol, sometimes with the addition of extras like honey or lemon. Although it may not have any extra healing powers beyond helping you quickly doze off to sleep when you need rest the most (we like to call it “history’s version of NyQuil”), sneaking a little hair of the dog into your cuppa can be another great way to take care when you’re not well. Stumped on what to pair with your tea to make it a more adult beverage? Check out these tips to perfectly doctor your hot toddy to your liking. Whether you’re truly under the weather or just looking for a cup of comfort during this cold and flu season, there’s no denying that a cup of tea is the best place to start when you’re on the road back to happy and healthy.